She is the owner of Animal Behavior Consultants of Michigan, where she practices an approach to behavioral medicine that combines learning theory, skilled medical training, and experience along with compassion and effective communication to create an integrated treatment plan that is tailored to the individual patient’s needs. As a member of 4-H, Dr. Jill Sackman grew up raising and showing horses, rabbits, and chickens, and her family has always included dogs and cats. Her desire to pursue a career in science and veterinary medicine was encouraged as a teenager when her uncle, a biology professor at the University of Colorado, introduced her to polio vaccine creator Jonas Salk, MD. 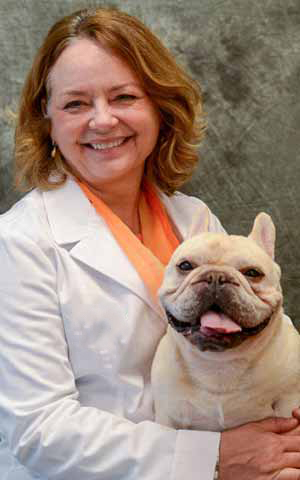 Dr. Sackman is a board-certified veterinary surgeon, and she has worked side-by-side with human surgeons exploring causes of cardiovascular diseases, a special interest of hers. She spent several years in research and development at Johnson & Johnson where she led a team of veterinarians and engineers in developing cutting-edge medical products. Fascinated by cognition and behavior in all species, she completed her American College of Veterinary Behaviorists (ACVB) approved residency program. Dr. Sackman is focusing on the human-animal bond as well as ways veterinarians can continuously improve the quality of life of their patients. 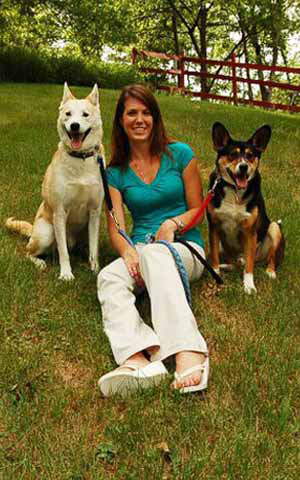 Particularly interested in early detection and treatment of canine aggression, she works with pets families to help them build strong early relationships with their pets including basic life skills, socialization, and home enrichment. Please click here to read more about our Behavioral Medicine service. Dr. Sackman volunteers giving talks and workshops on animal behavior for dog clubs and horse groups. She provides coaching, mentoring and leadership development through professional organizations such as the Healthcare Business Women’s Association. Her house and barn are full of animals. She trains and shows her three French Bulldogs in rally, obedience, agility, and AKC conformation: Georgie was her first AKC conformation champion; Theodore is George’s younger brother, and Rosie is her clicker training certification dog. She has one more French bulldog named Willow who is actually a Tonkinese cat who thinks she’s a French bulldog. Dr. Sackman also trains and shows her two dressage horses: Nyewyn, a Grand Prix dressage pony who successfully competed at the highest levels of dressage and was high score at the National Pony Dressage Championships in Lexington in 2014; and Galiano, aka Leo, an Arabian/Hanoverian gelding. In addition to spending time with all of her animals, Dr. Sackman loves jazz, the symphony, and theatre. Lauren is our behavior technician with her two dogs Rascal and Tucker. Lauren is a licensed veterinary technician that has always had an interest in training and animal behavior. She is actively pursuing specialty certification in behavior. She assisted in training rescue dogs for over 10 years. Her own 11.5 year old dog Rascal was very fearful as a puppy which sparked her interest in animal behavior and helping others with their pets. She currently works with owners and their pets on their behavioral issues with special interests in fearful dogs, reactive dogs, leash training and basic manners.